Finally, a nice summer day and it’s off to photograph some of Neil Young’s old haunts. I’ve driven by many of these sites before without much thought, but today the feeling is different. Today, I feel like I’m getting up close and personal with a music icon that I’ve come to admire greatly. 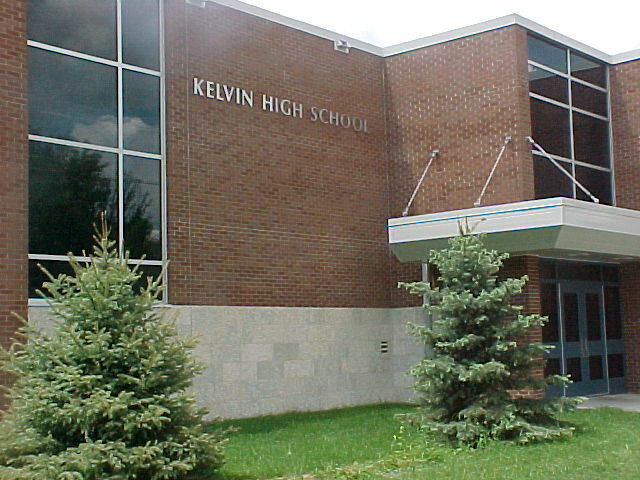 First stop on the trek is Kelvin High School. Built in 1963, Neil would have only spent a couple of years in this particular building. 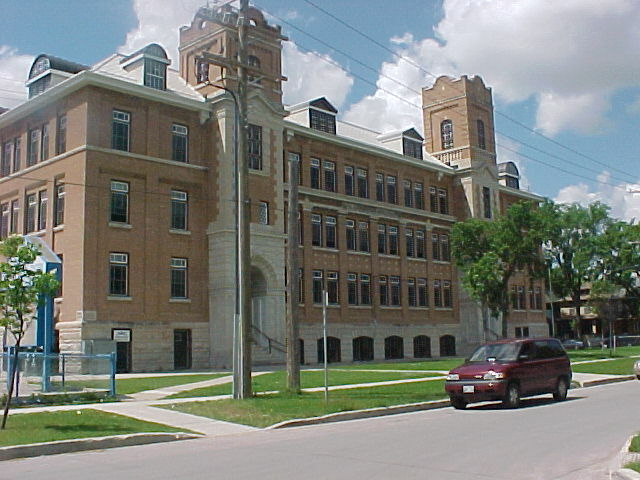 According to the “Einarson book, Neil Young, The Canadian Years”, Neil and the Squires played in the school cafeteria. As I’m looking at the school I can somehow picture the old grey cat doing his thing. A friend of mine, who went to school with Neil, recently commented on remembering those school concerts. I wish those were my memories instead of hers, but I’ll have to be content with the photographs. 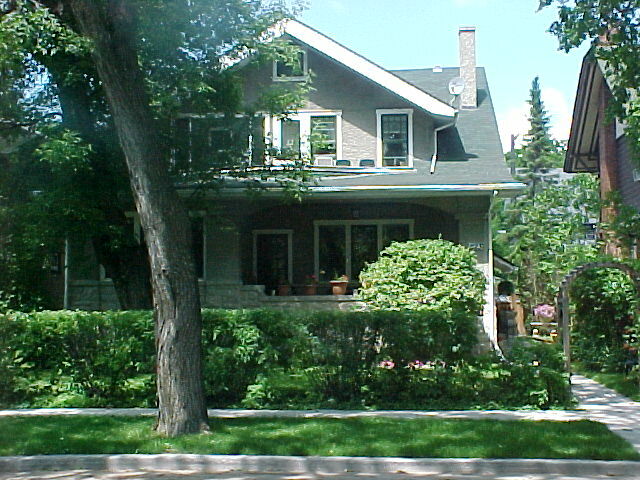 From Kelvin High it’s only a few blocks to 1123 Grosvenor (see photo at top).This is the home where Neil and his mother Rassy shared. I’ve decided to ring the doorbell to ask if I can take a picture of the house. I wonder if the present day occupants realize who once lived in their home. There are two suites in the house, an upper and lower. I believe it was the same when Neil lived here.Rassy and Neil occupied the top floor. After all these years, the house is still divided the same way. By now my wife is beginning to think I’ve lost my mind. She doesn’t quite share the same enthusiasm for Neil as I do, but in time I’m sure she’ll come to appreciate his genius. 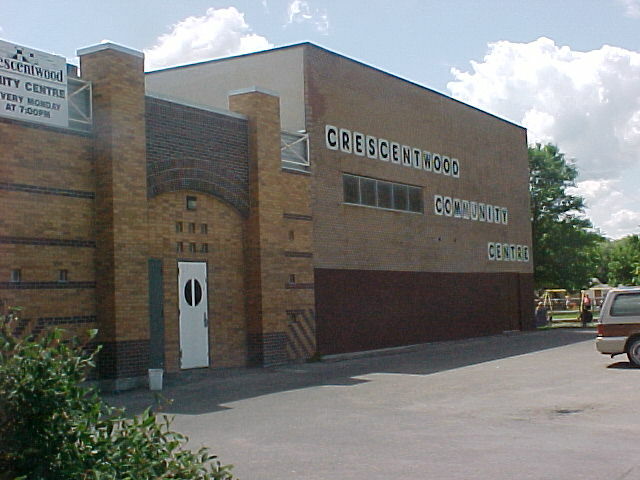 Third stop on the trek is Cresentwood Community Club on Corydon Ave. In Winnipeg during the sixties many of the local bands got their big break from playing in the local community clubs. Neil Young and the Squires, The Guess Who, The Mongrels and others all began here. However, the Saturday night dances where these bands played seem to have faded into history. The community club is still active, but in a different capacity. Next stop on the tour is Earl Grey School. 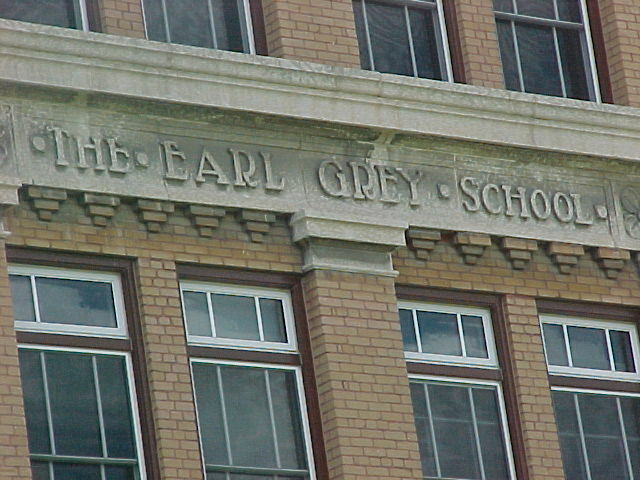 Earl Grey School is a middle school where Neil first attended after arriving in Winnipeg. It’s here where he first began to form friendships that would last to this day. It’s a beautiful old building that is still used today. The Earl Grey Community Club is adjacent to the school. I wonder how many of Neil’s old teachers remember him, and how many thought he would ever achieve what he has? Like Neil, this building will probably last forever. The last building I’m looking for is The Grey Apartments. I check the “Yellow Pages”, but can’t seem to find it. 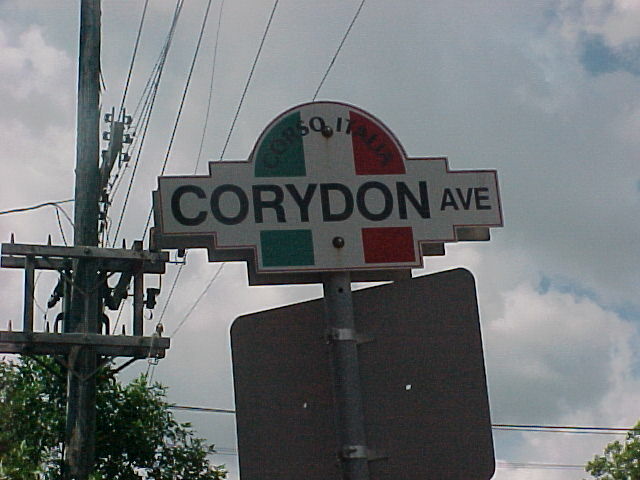 After consulting an old photo I had of the building, I finally find it at the corner of Corydon and Hugo. The building looks the same as it did when Neil lived there, only today the name has changed. 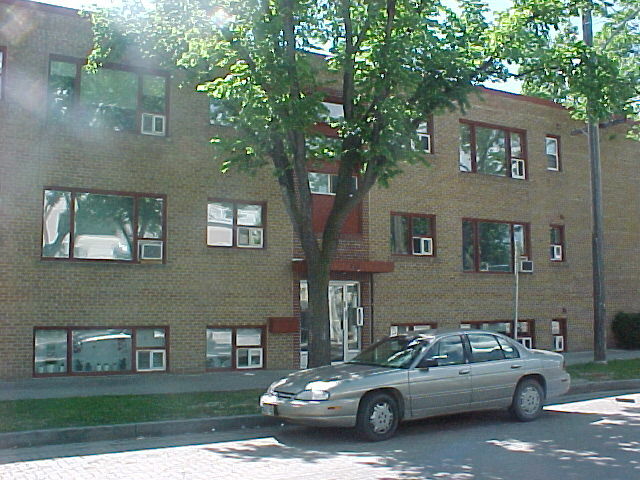 The Grey Apartments was the first place Neil and his mother lived in upon arriving in Winnipeg after leaving Toronto. It’s not fancy, but it still has a haunting feeling to it as I take the picture. Also check out Bill's work on a couple of Neil cover tunes on MP3 tracks to download: Pocahontas, Red Sun and Hey, Hey, My, My. For more on Bill's recordings, see the Neil Young cover songs page. Thanks Bill! If you want to drop Bill a line he can be reached at blaing AT esd DOT mb DOT ca. Keep on Rockin!